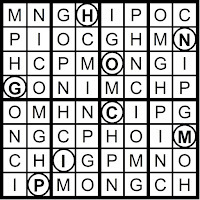 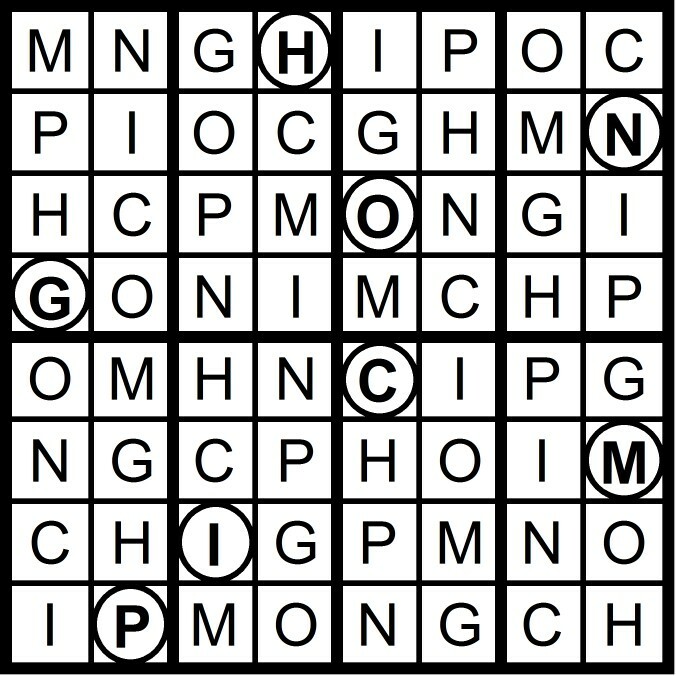 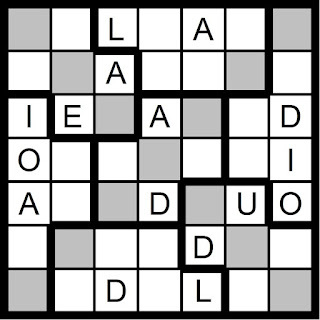 Today's 5x5 Diagonal/Hidden Word Sudoku puzzle contains the letters AEIOU - IO + GH. 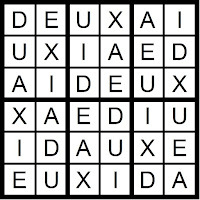 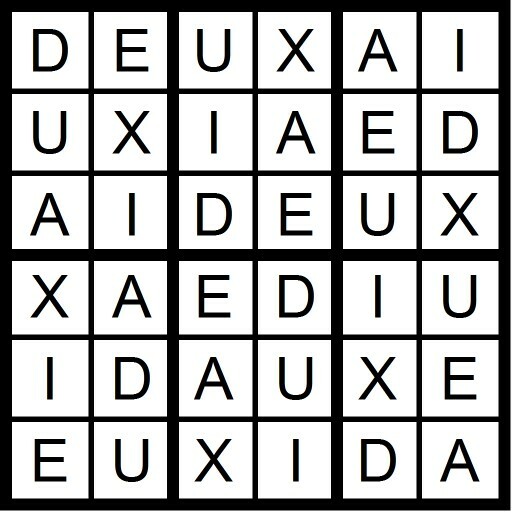 Today's 6x6 Word Sudoku puzzle is based on the word ADIEUX. 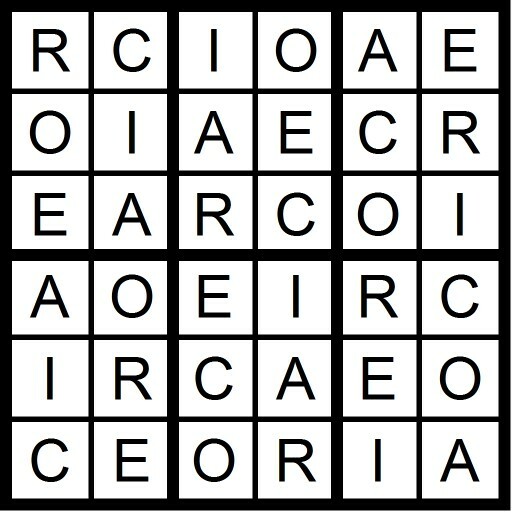 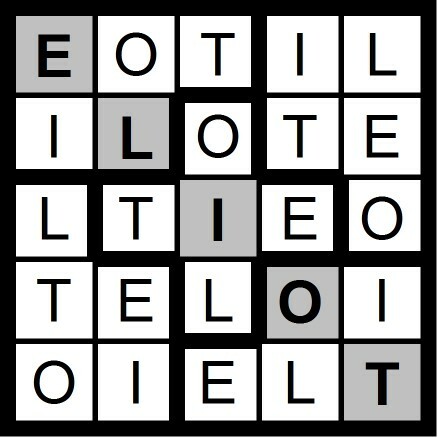 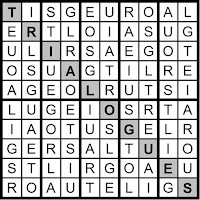 Yesterday's 10x10 AEIOU Hidden Word Sudoku puzzle was based on the letters AEIOU + GLRST (TRIALOGUES). 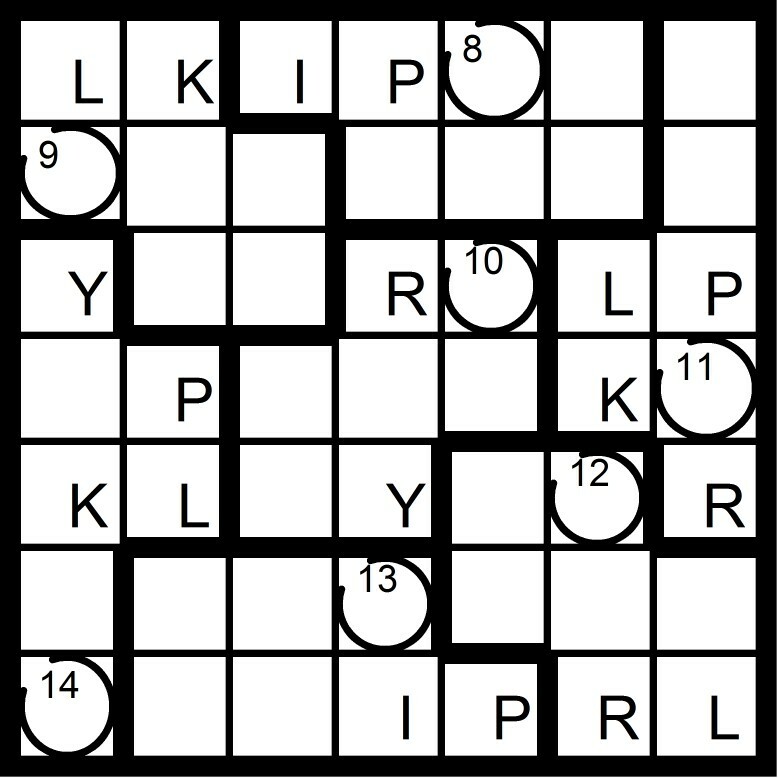 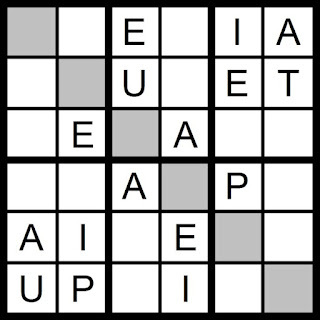 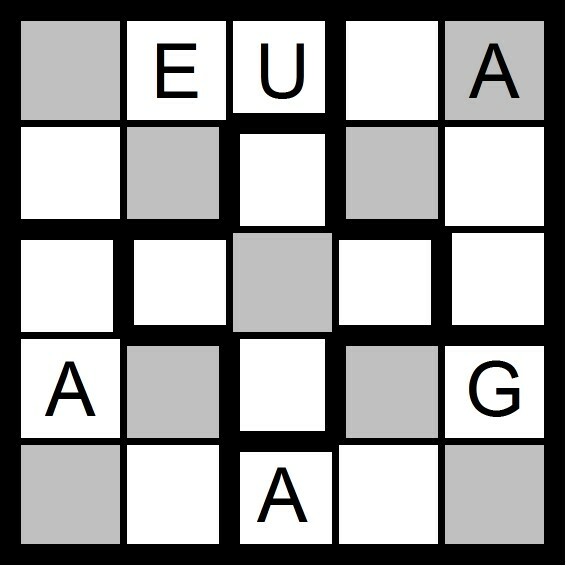 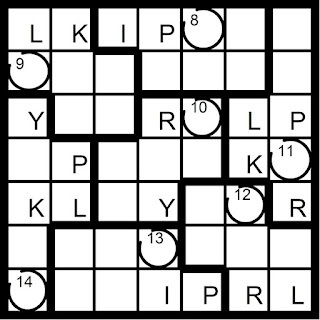 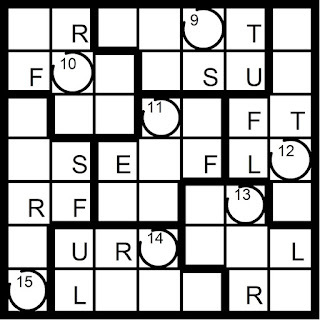 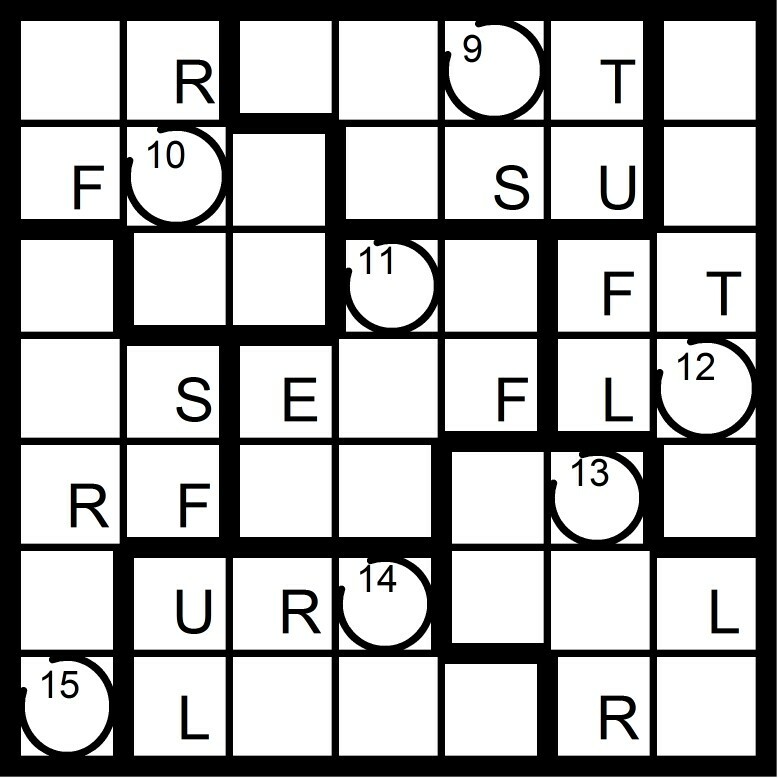 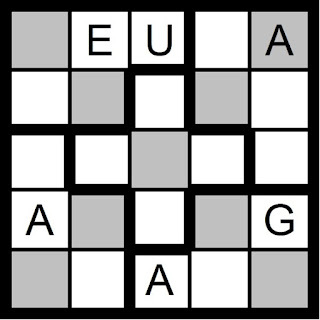 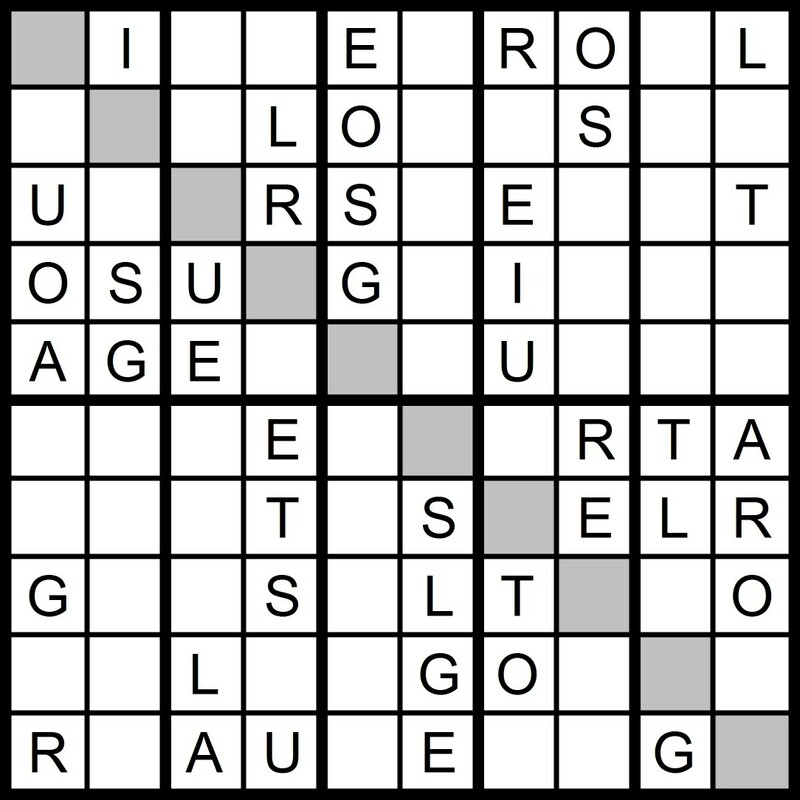 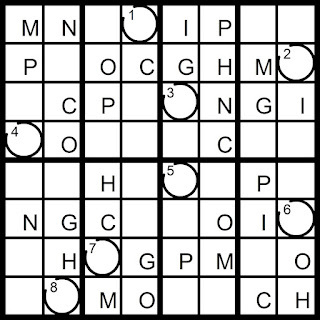 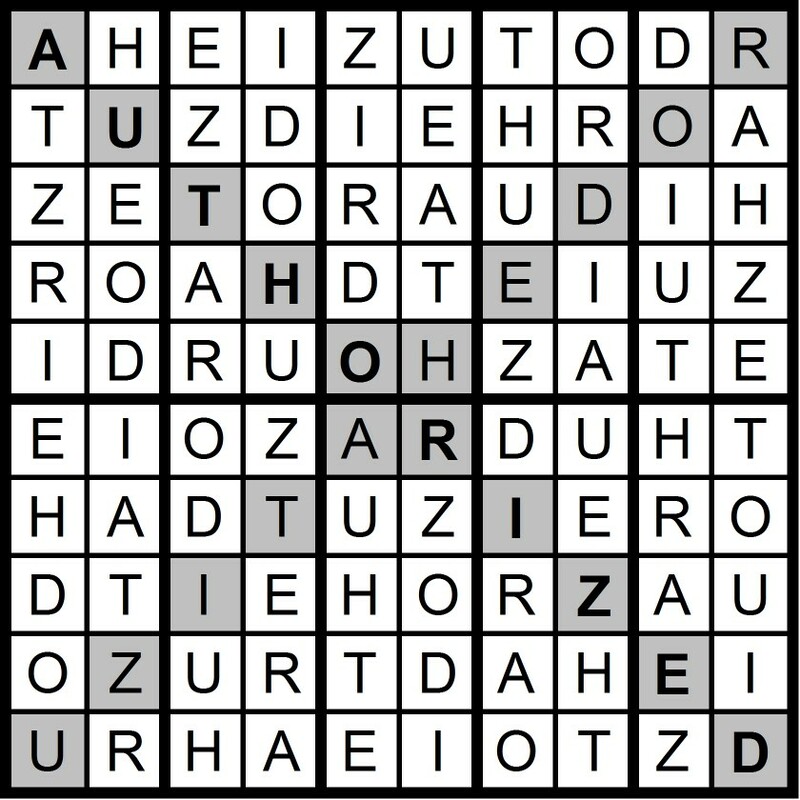 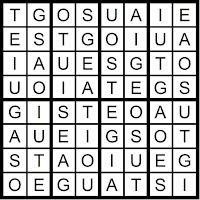 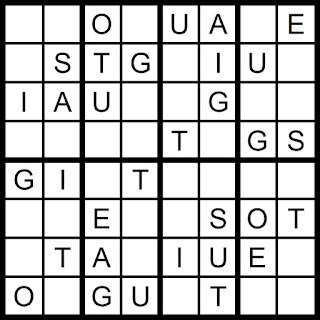 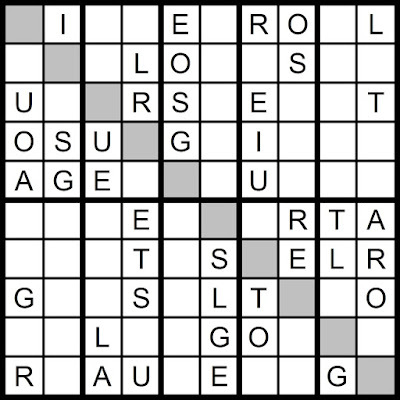 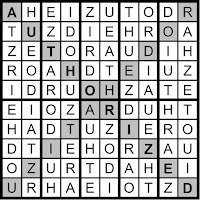 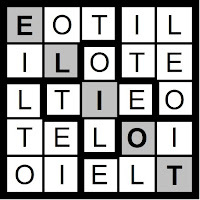 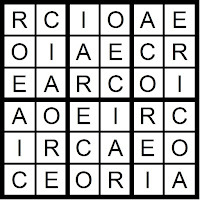 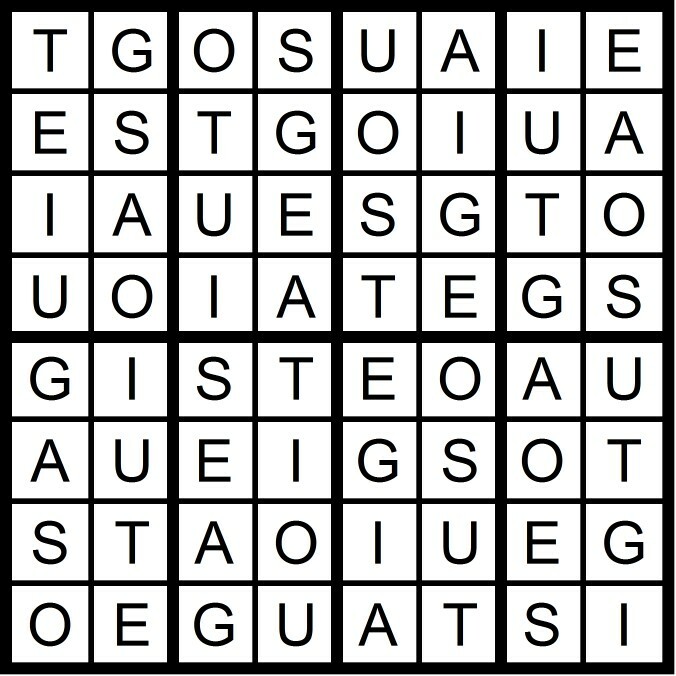 Today's 10x10 AEIOU Hidden Word Sudoku puzzle contains the letters AEIOU + GLRST. 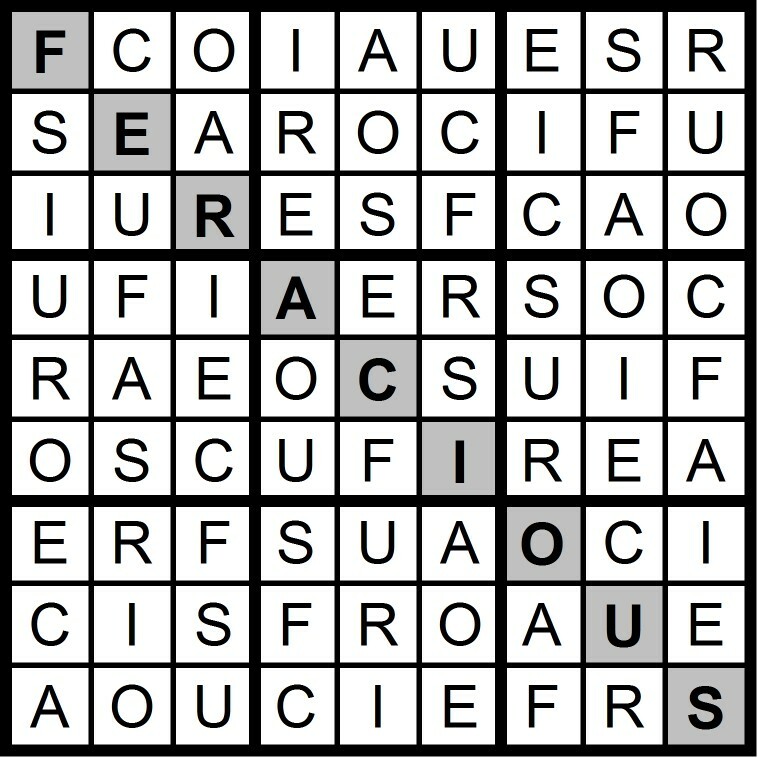 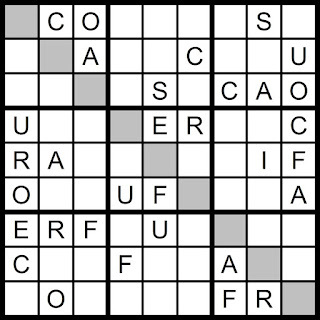 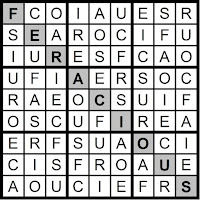 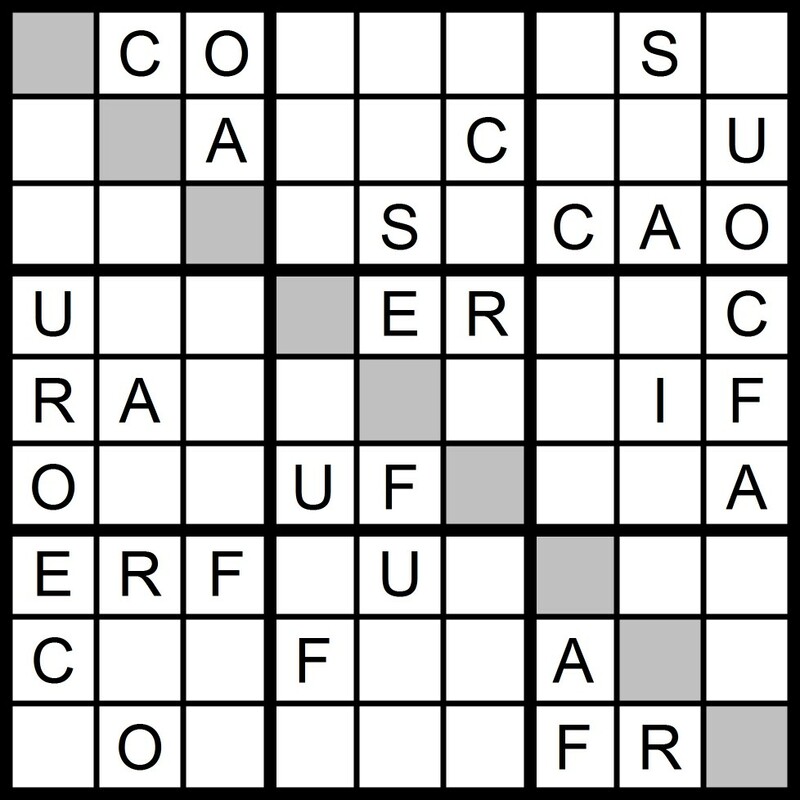 Yesterday's 9x9 AEIOU Hidden Word Sudoku puzzle was based on the letters AEIOU + CFRS (FERACIOUS). 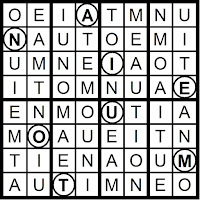 Yesterday's 8x8 AEIOU Word Sudoku puzzle was based on the letters AEIOU + MNT (AUTOIMMUNE, MOUNTAINET, MOUNTAIN TIME, MUTATO NOMINE, MENTIMUTATION and MINUTE ATTENTION). 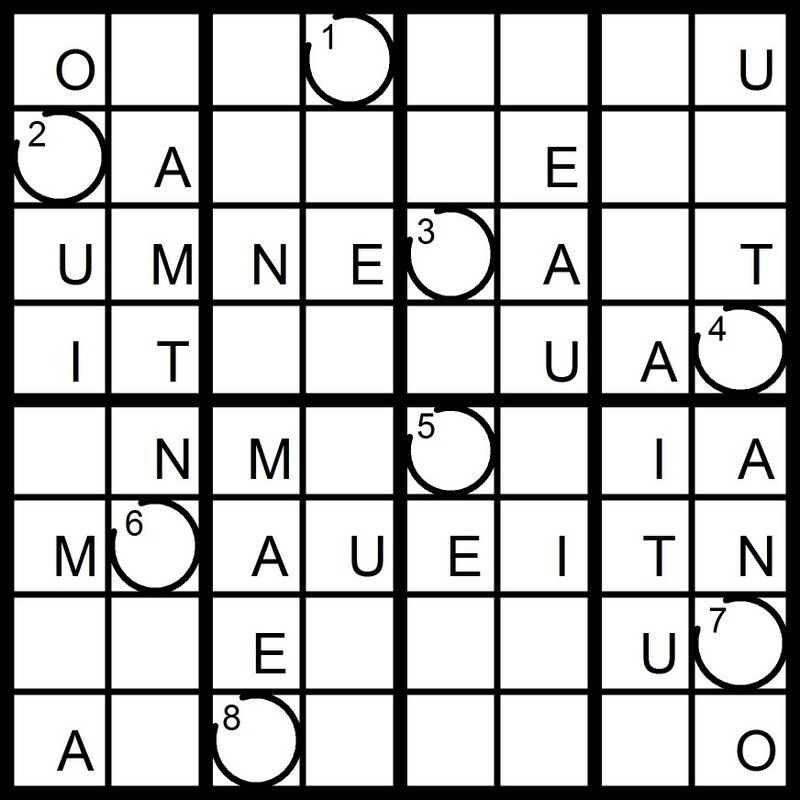 Today's 8x8 AEIOU Word Sudoku puzzle contains the letters in AEIOU + MNT. 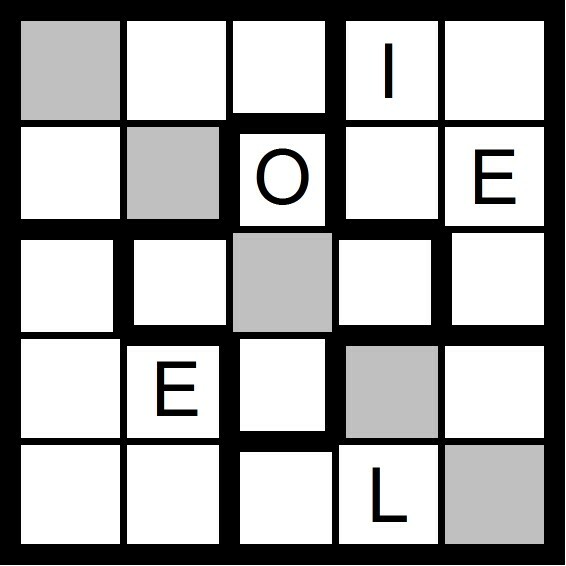 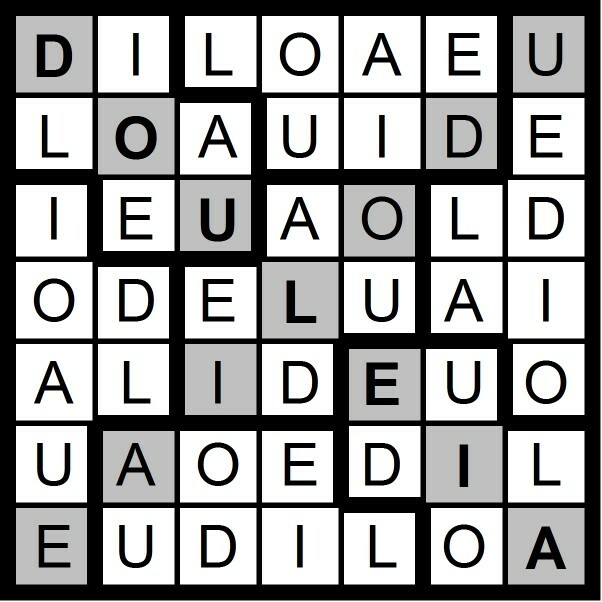 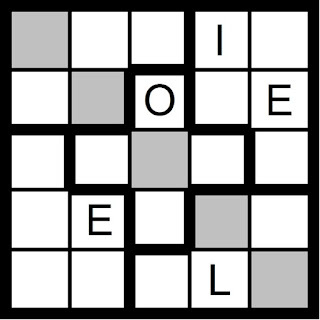 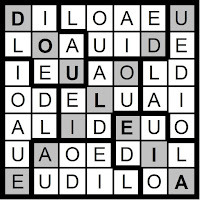 Yesterday's 7x7 Diagonal Word Sudoku puzzle was based on the letters AEIOU +DL (DOULEIA). 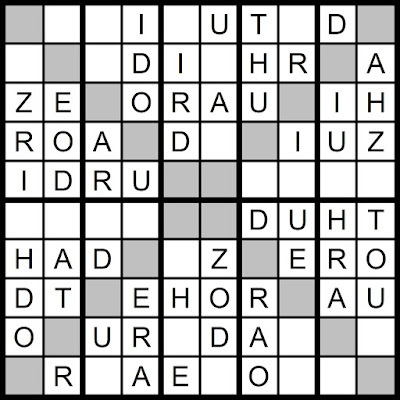 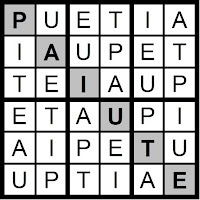 Yesterday's 6x6 Hidden Word Sudoku puzzle was based on the letters AEIOU -O +PT (PAIUTE). 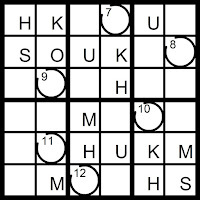 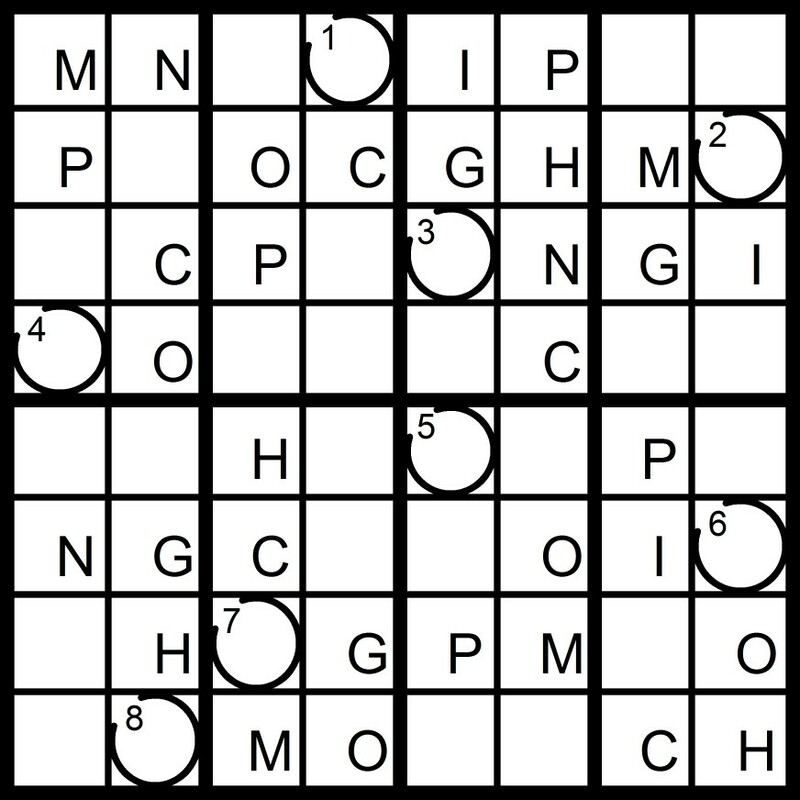 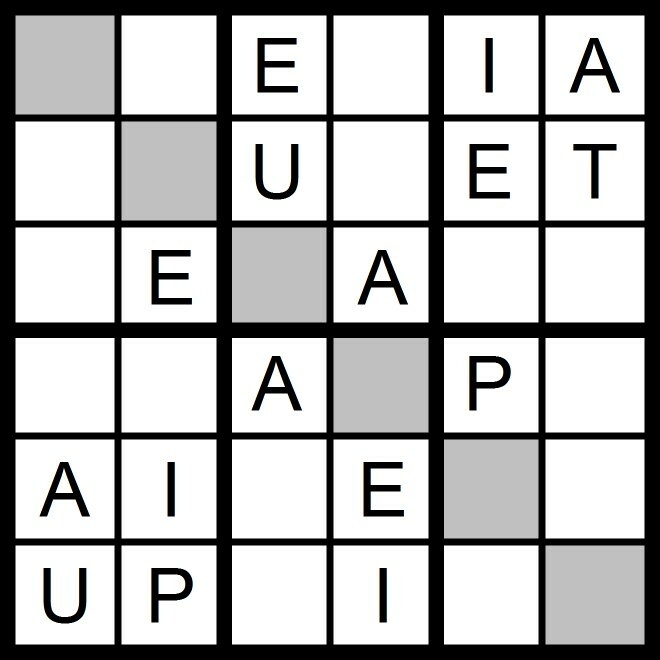 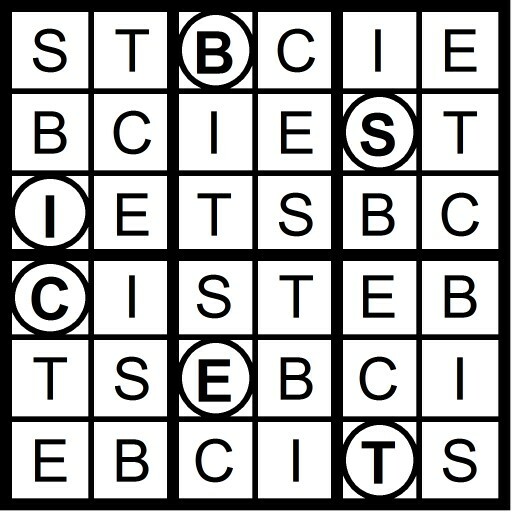 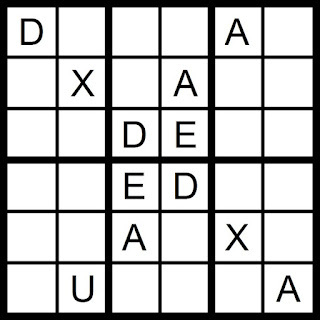 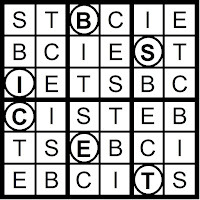 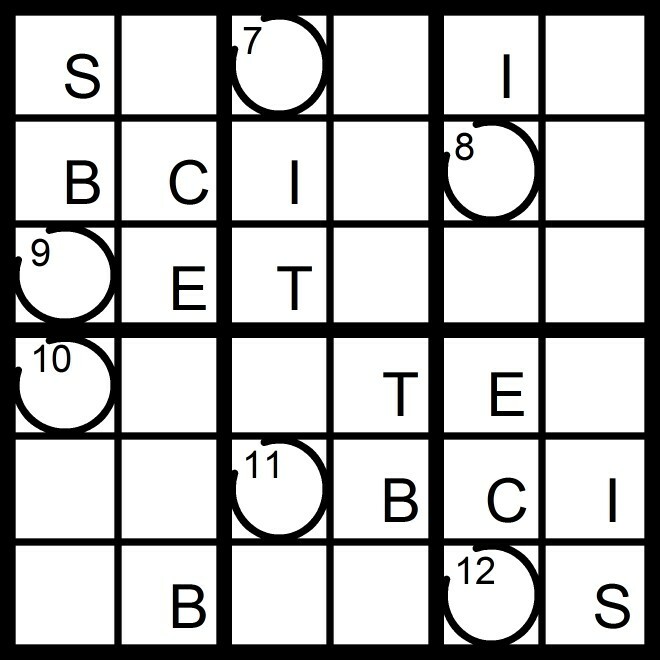 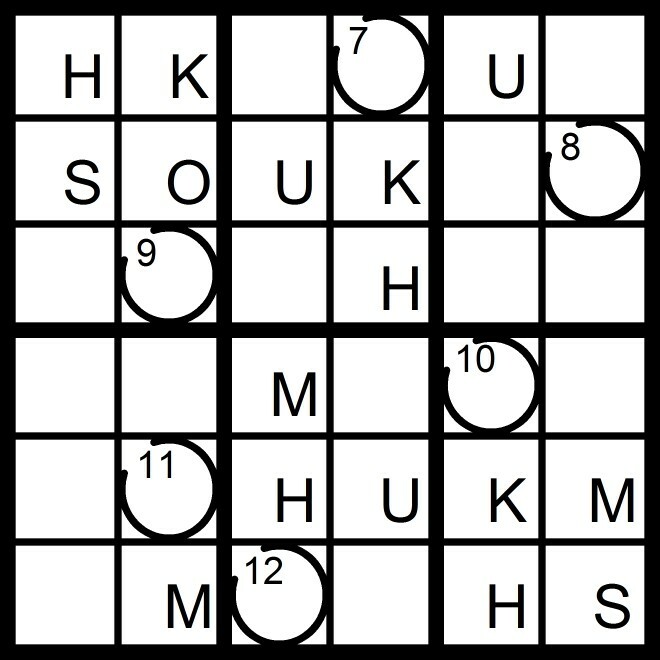 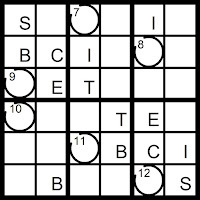 Today's 6x6 Hidden Word Sudoku puzzle is based on the letters AEIOU -O +PT. 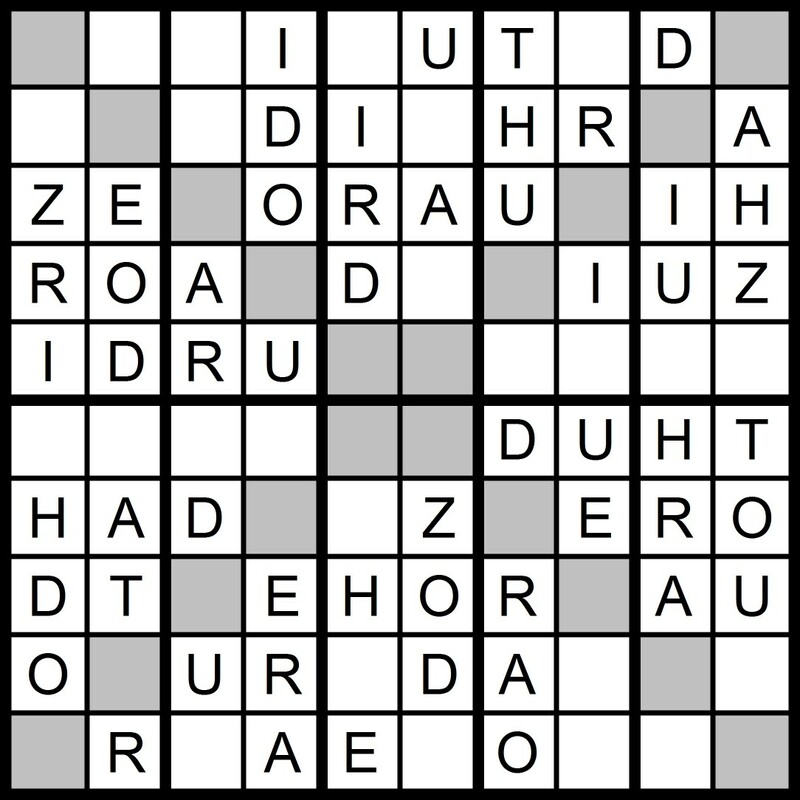 Yesterday's 10x10 AEIOU Diagonal Word Sudoku puzzle was based on the letters AEIOU +DHRTZ (AUTHORIZED). 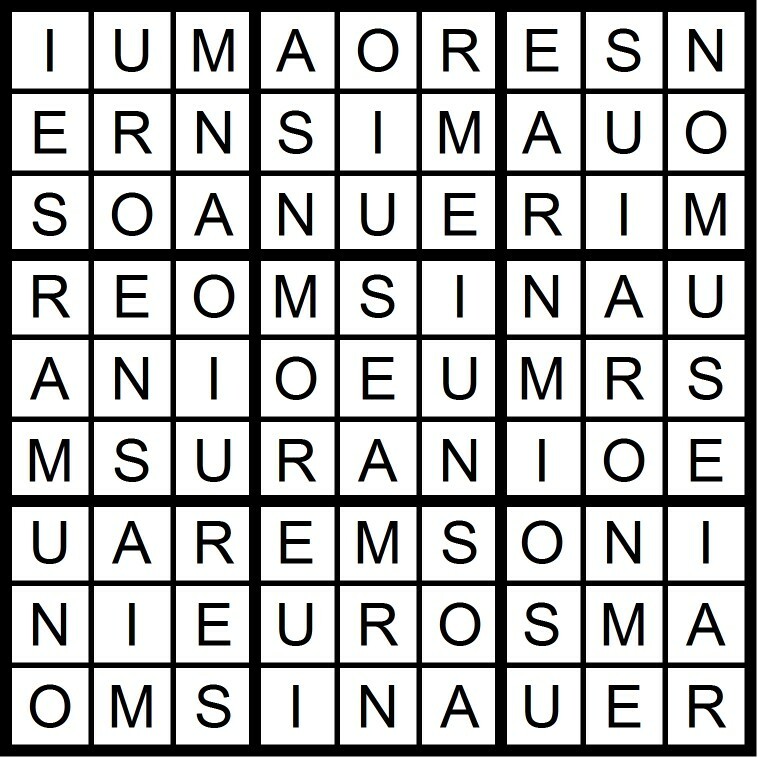 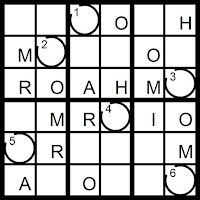 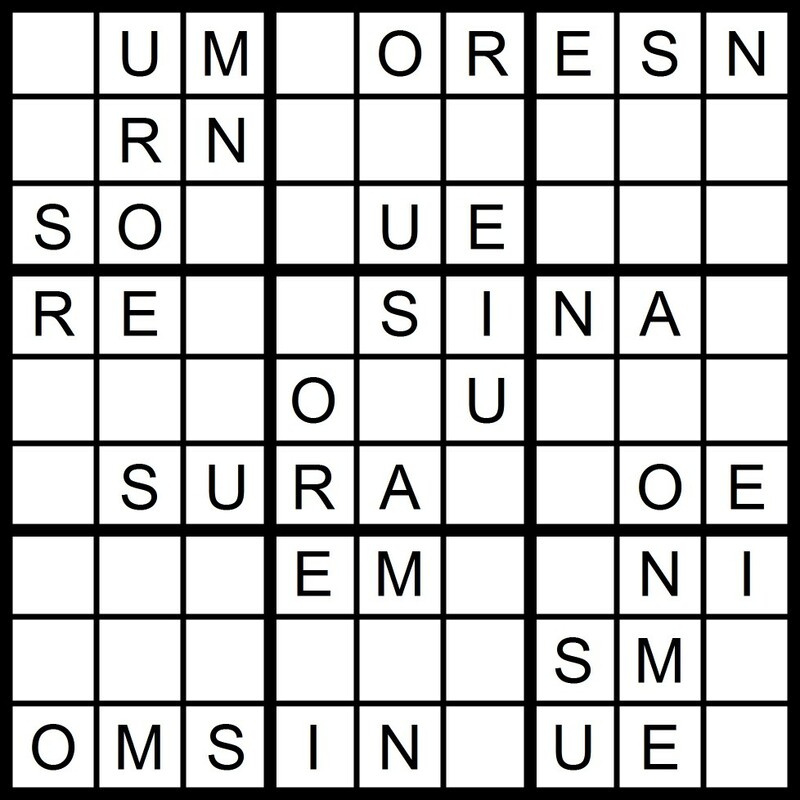 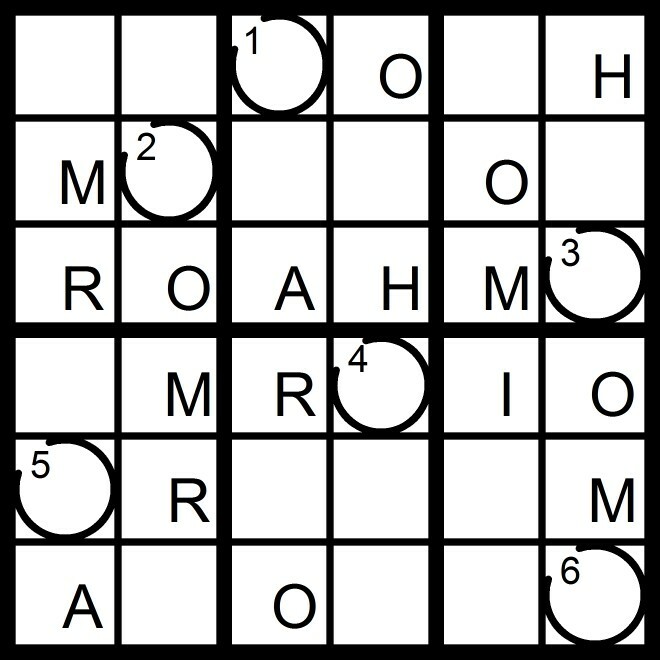 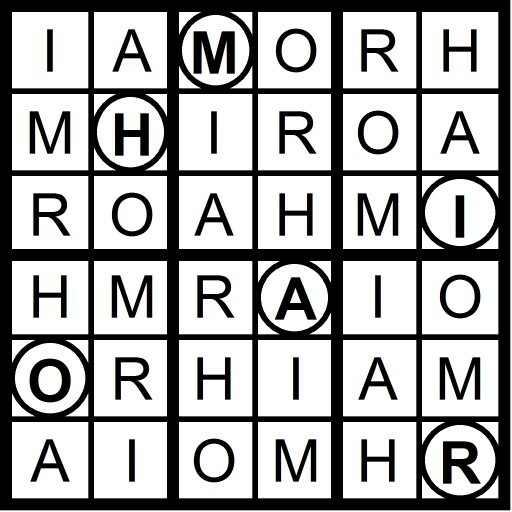 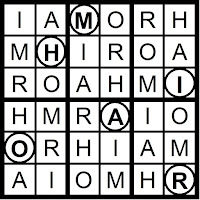 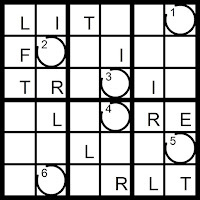 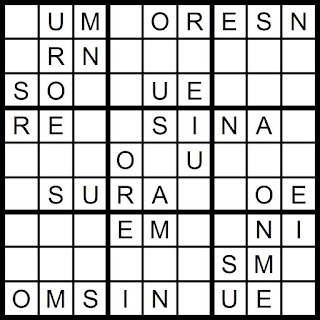 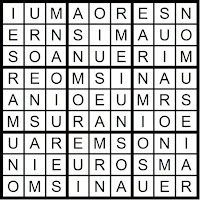 Yesterday's 9x9 AEIOU Word Sudoku puzzle was based on the word UNIRAMOSE. 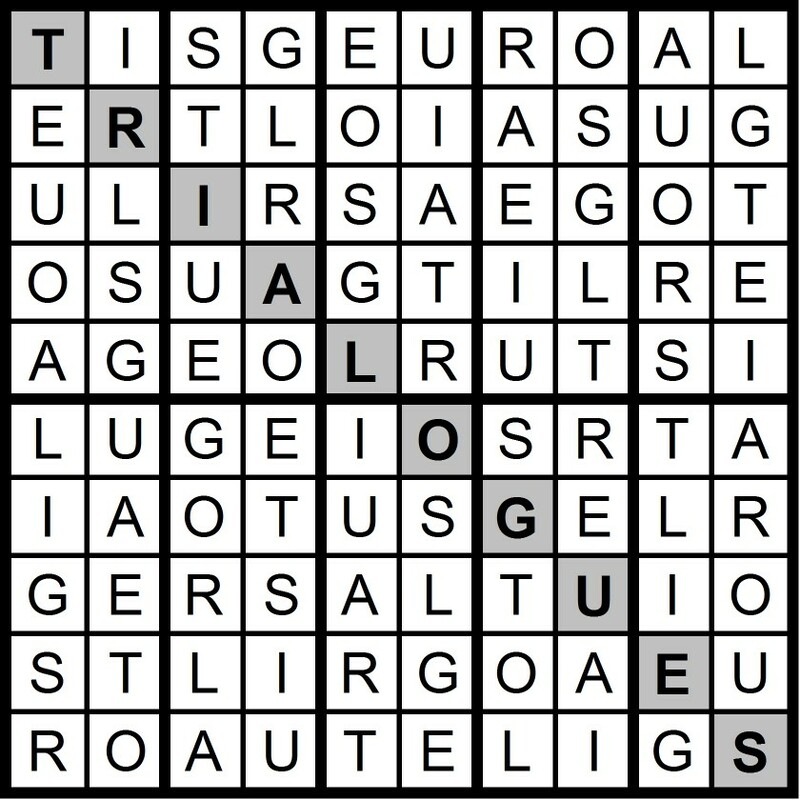 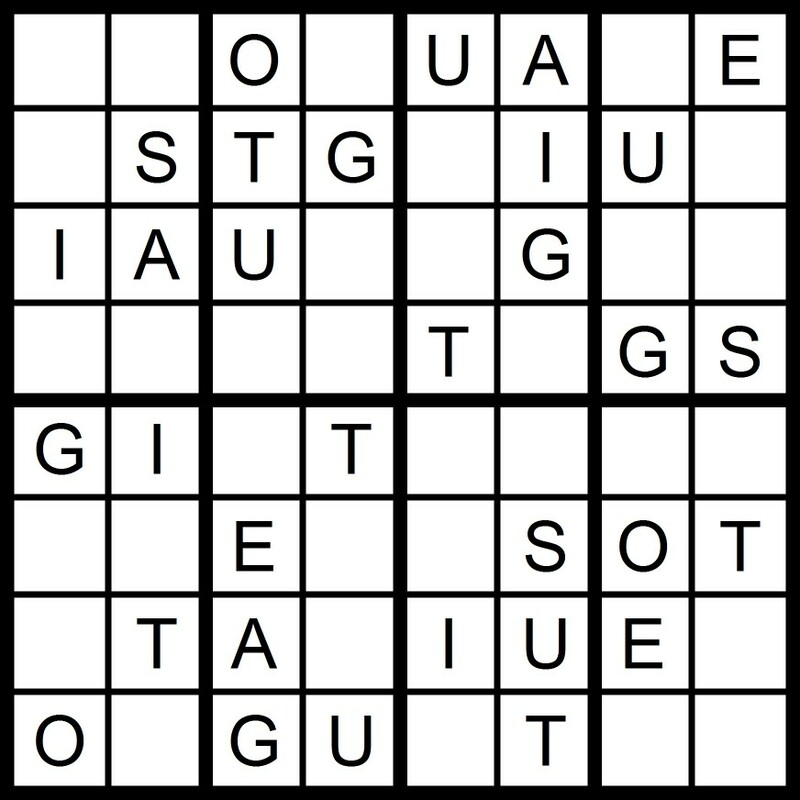 Today's 8x8 AEIOU Word Sudoku puzzle contains the letters in the word AGOUTIES. 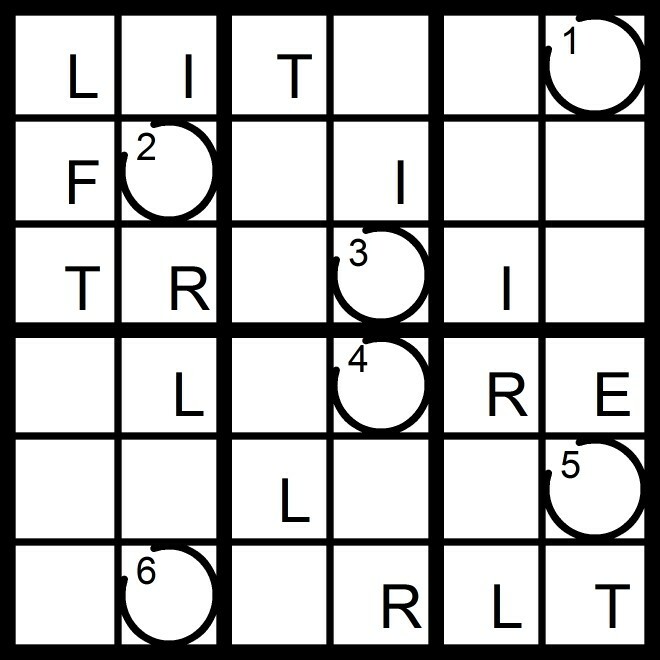 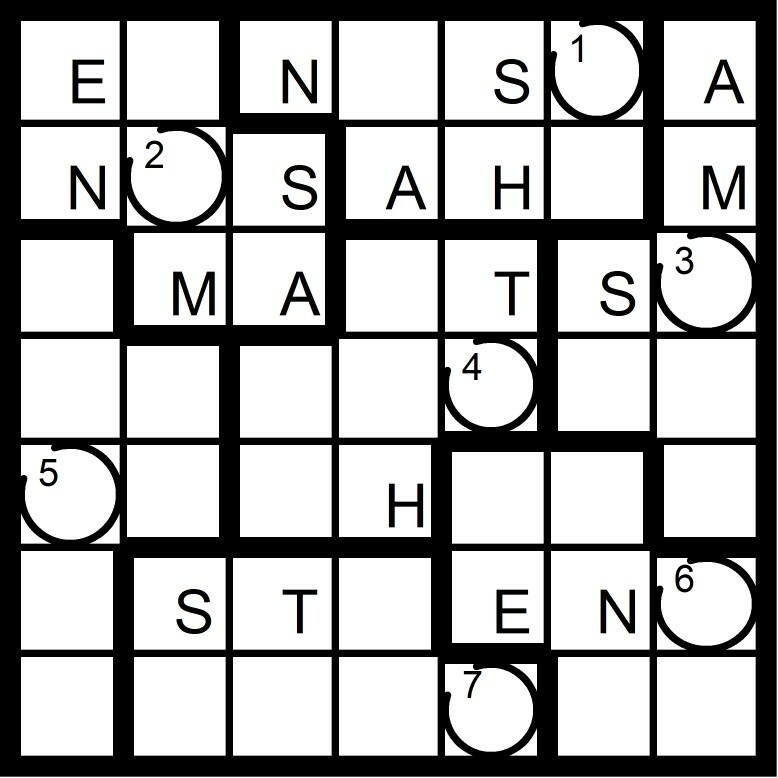 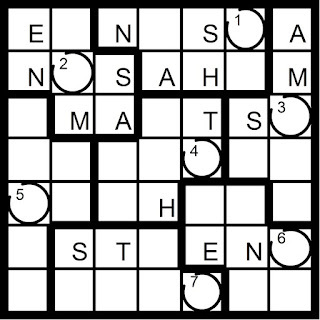 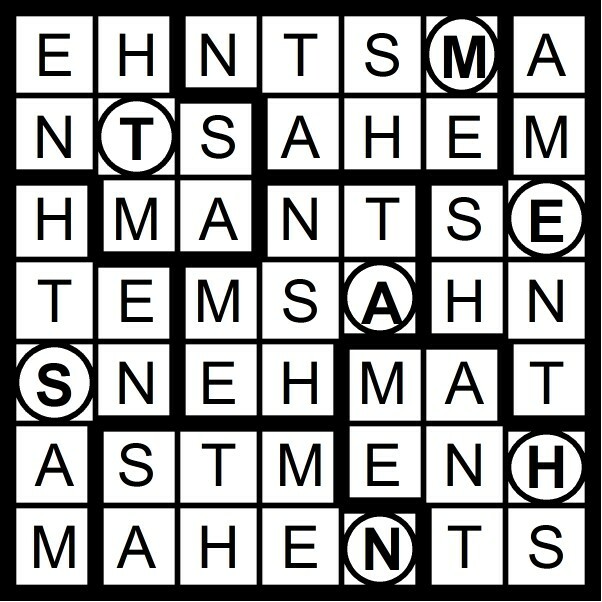 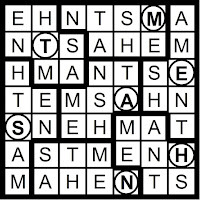 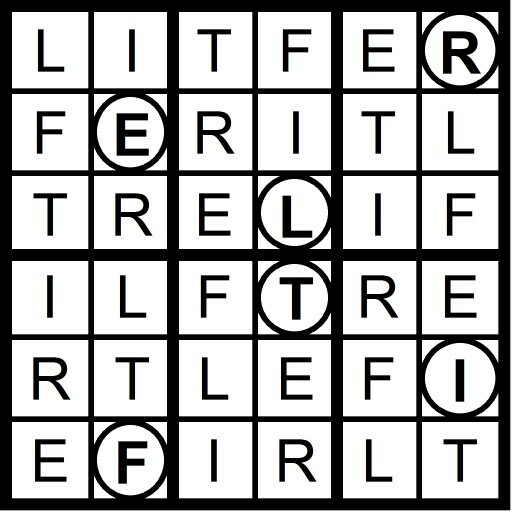 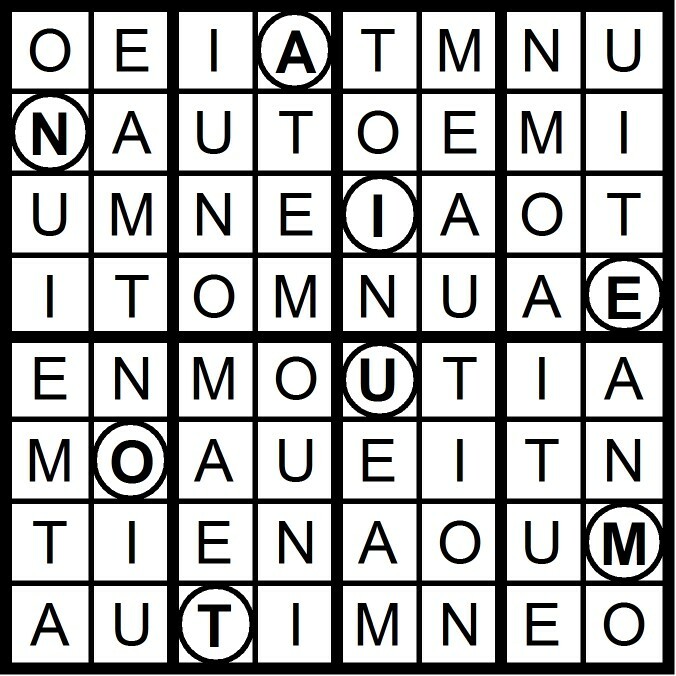 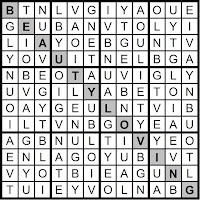 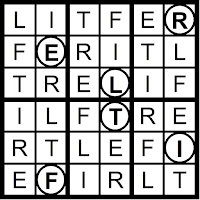 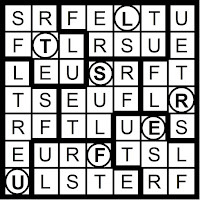 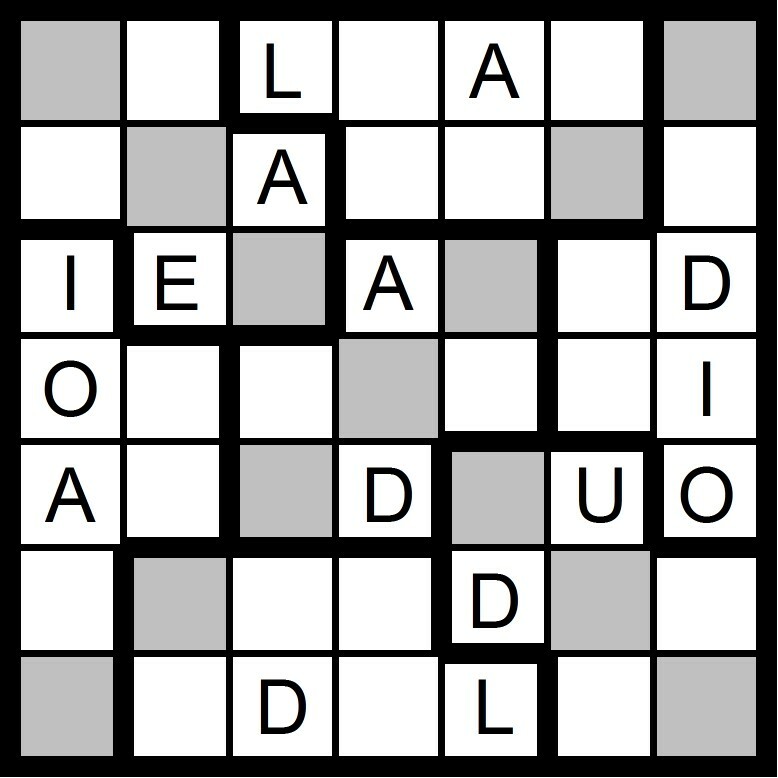 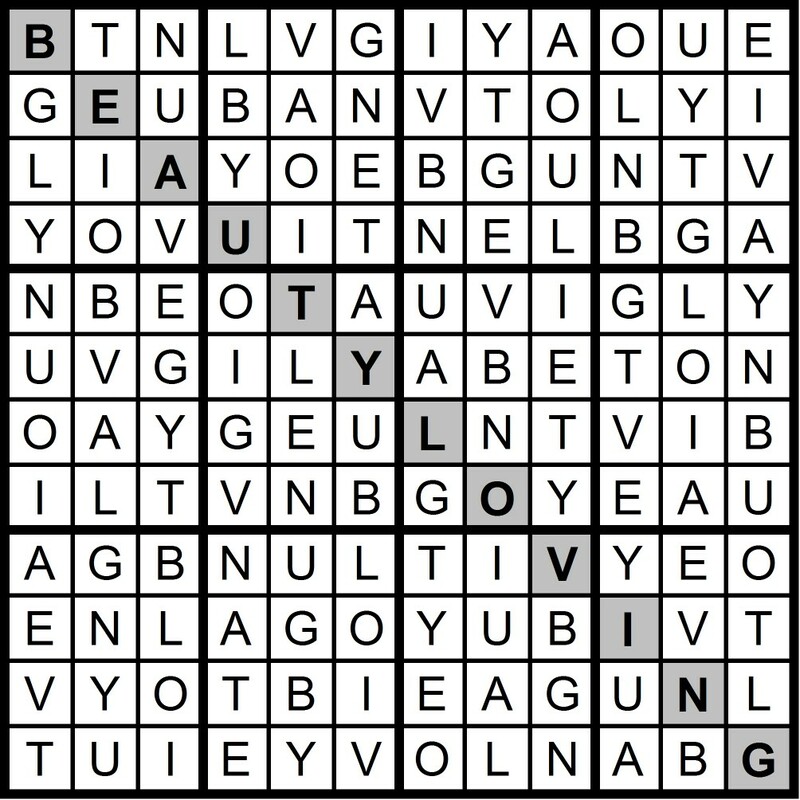 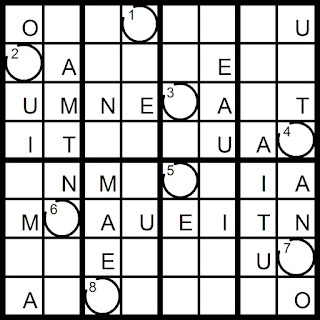 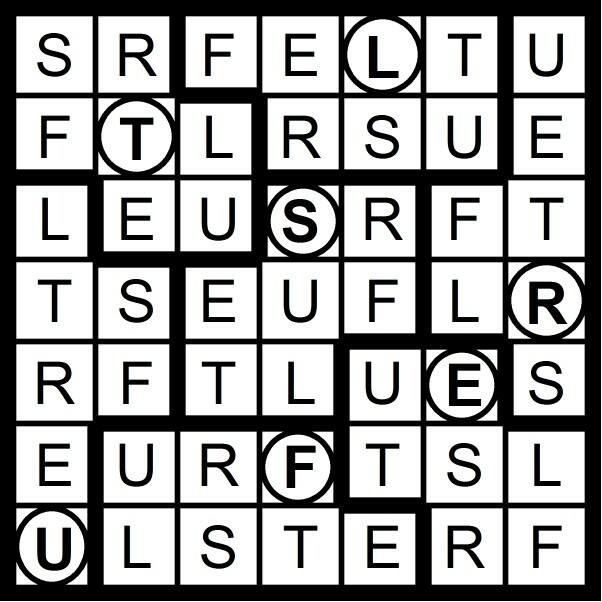 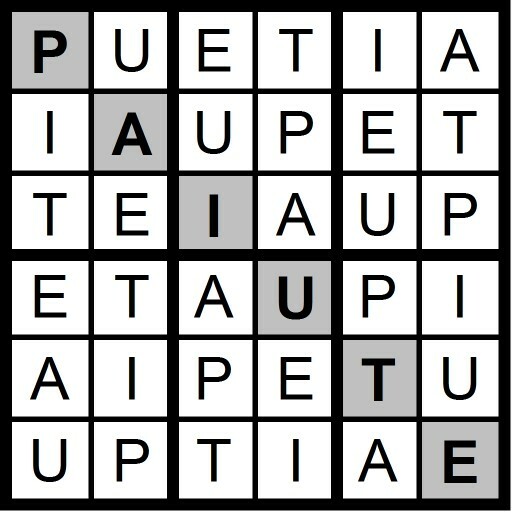 Today's 5x5 Hidden Word Sudoku puzzle contains the letters AEIOU -AU +LT. 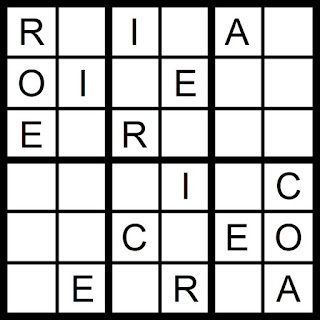 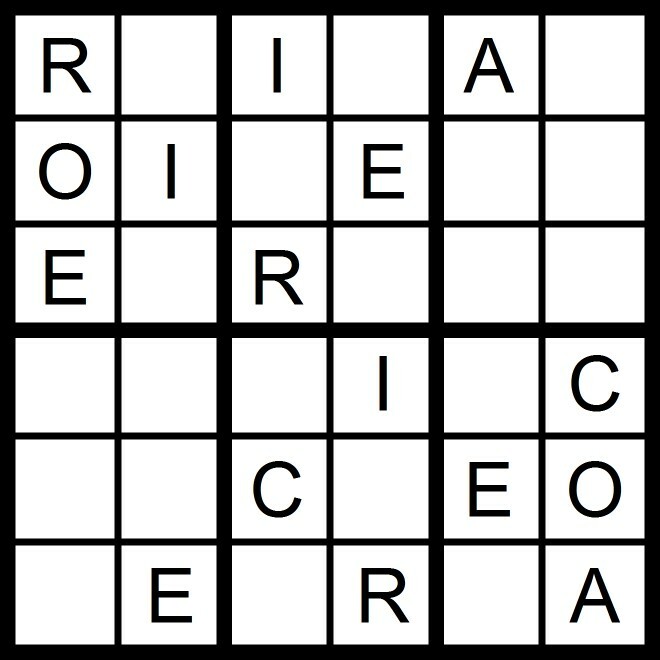 Today's 6x6 Word Sudoku puzzle is based on the word EROICA.